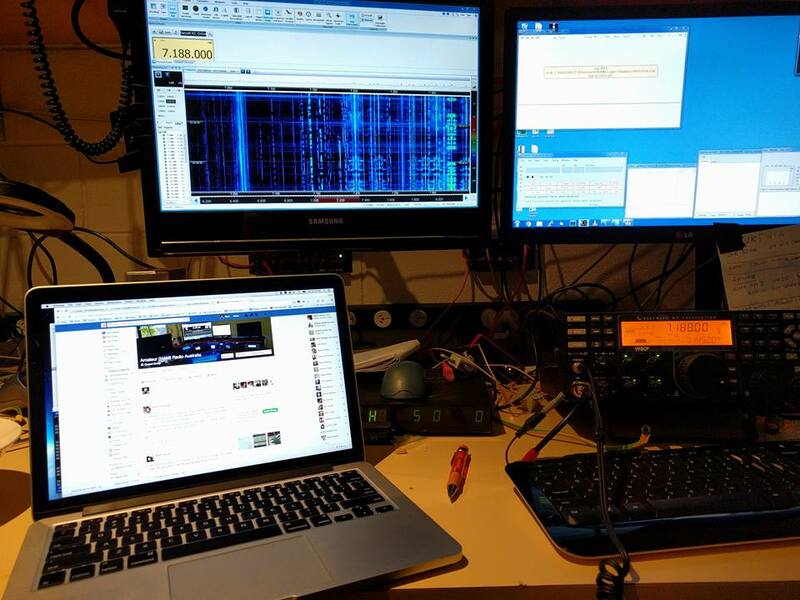 Headquarters Station for the 2017 IARU HF World Championships. The station will be run from the QTH of Chris VK5CP in the Murray Mallee region of South Australia. It is planned to have 2 transmitters on the air continuously at least. This year we are also hoping to get a 160m antenna and a couple of options for 80/75m antennas working from the site as well. So look out for VK5WIA during next weekend and work us for headquarters station multiplier points! 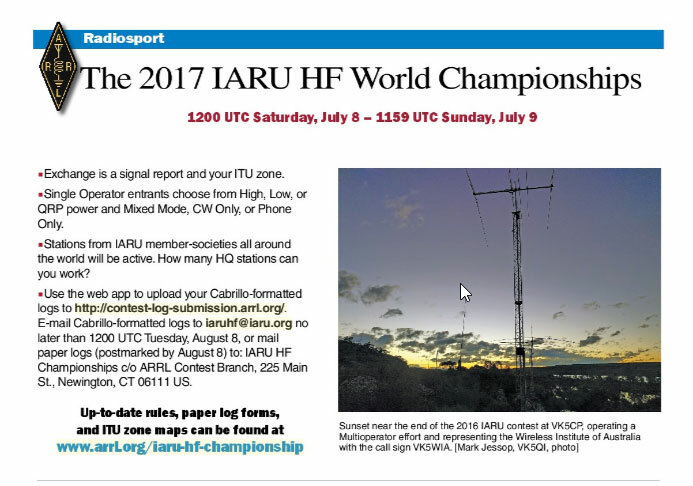 The Contest Rules are available from the ARRL Website. This entry was posted in Contesting, HF DX Operating by VK5GR. Bookmark the permalink.